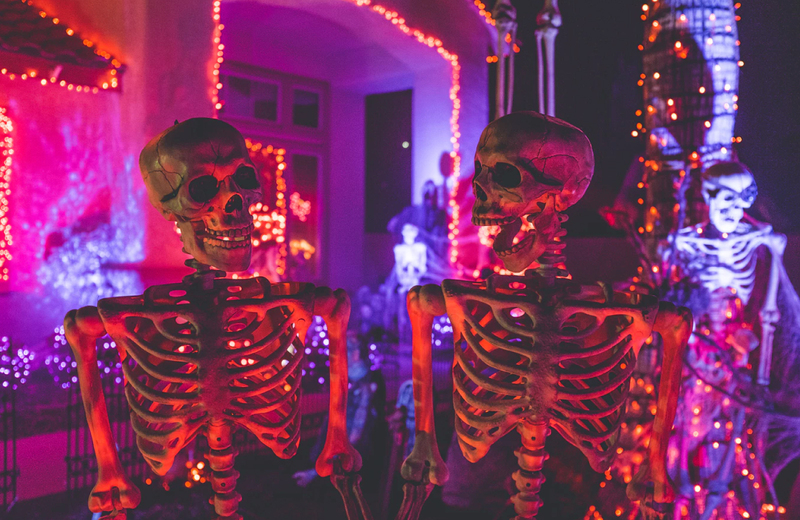 Halloween is right around the corner, and you’ll have your pick of exciting things to do and see around Los Angeles through the end of October. If you’re near the DTLA luxury apartments, however, and you want to check out something outside your comfort zone, you might try heading over to the Halloween Horror Nights at Universal Studios. These nights of fun and frights will bring a thrilling combination of Halloween monsters, challenging puzzles, good-natured scares, and other assorted festivities all in one location. If you’d prefer to just hit one general location and get all your Halloween excitement at once (as opposed to trekking all around town to find what you’re looking for) this is is the event for you. Read on, as we give you the rundown on what to expect from this corporate (but still amazing) Halloween extravaganza. As such, you’ll be seeing plenty of terrifying sights from these fictional worlds, and might even experience a scare or two as you become more and more immersed in the mazes you’ll be navigating. You can take a peek at the online Horror Gallery for photos and videos on what you can be expecting. Then there’s Jabbawockeez, the famed hip-hop dance crew, who will be out at Halloween Horror Nights in their signature white masks and displaying their expert technique with a brand-new repertoire of “innovative, synchronized choreography” alongside dazzling laser lights that’s sure to be a sight to behold. You can learn more about those at the Halloween Horror Nights more attractions page, but can get an idea with just the beginning of the Hell’s Harvest description: “enter a pagan harvest festival where the dark spirit of Halloween was born! The streets are filled with strange bewitched dolls, brought to life through dark magic.” We got the shivers just reading that, and there will be plenty more to experience once you head down to Universal Studios for a night of frights. Get your tickets ASAP to secure a spot in the park. Get the Universal Studios Hollywood Park app to see wait and showtimes in real-time. You can purchase special tickets for express access to mazes and shows. You should print your tickets in advance, or have them sent to your mobile device for easy access when you need them. You should arrive early (between 5:00PM and 6:30PM) to enjoy early entrance to the park. You should always be nice to the parks actors (as failure to do so will see you ejected from the park). Failure to heed this warning will also warrant ejection from the park, as will use of flashlights, recording devices, laser pens, and line jumping, foul language, or inappropriate behavior. Be mindful of the Terror Tram timelines. The line closes at 11:15PM on Halloween, Thursdays, and Sundays; it closes at 11:45PM on Fridays and Saturdays. They even provide a few extra “helpful hints” that will help you plan your visit. For instance, the first five nights of the event (September 14, 15, 20, 21, and 22) will offer the best discounts and shortest wait times. Additionally, they’ve got the links to the event Facebook, Twitter, and Instagram pages, which they frequently use to provide additional information about what’s going on with Halloween Horror Nights. You’ll do well to check these from time-to-time so that you can stay informed. As for those tickets, you can purchase them online so that you can get them as well in advance of your visit as possible. Ticket prices do vary, and while you can get general admission tickets ranging from $60 to $97, higher tear tickets can go for over $400, so be sure to read the descriptions carefully to determine what level will best suit your preferences before making your purchase. Which isn’t to say that hip and happening communities like Eighth & Grand aren’t amazing. The combination of contemporary designs, amazing living spaces & features, and the sense of belonging you’ll have in Los Angeles’ newly-energized downtown all make living there well worth it. Sometimes, though, you just need to get out for a night. On Halloween, there aren’t going to be many spots more exciting than Universal Studios, so if you don’t mind making the 20-minute trek over to Hollywood, you’ll be able to experience it all, then head on back to your downtown dwelling for a well-deserved rest.